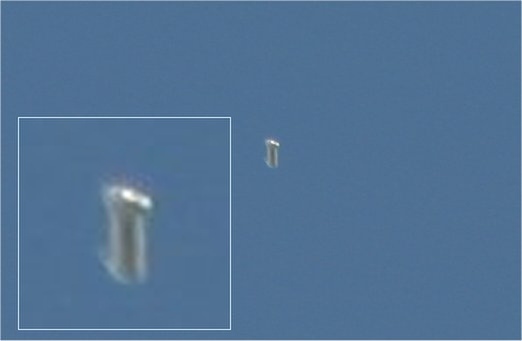 First of all, I would like to point out that I am a big skeptic as far as UFO sightings are concerned but in some ways this only makes me more determined to show the photos to people and to try and get some kind of answer or comment about them... The bottom line is... that myself and colleagues know what we saw whilst not knowing what is was and ultimately if need be would take a lie detector test to prove that we are telling the truth. The photos were taken using a Cannon 300D camera with a 300mm image stabilising lens. The original photographs untouched are available if required. 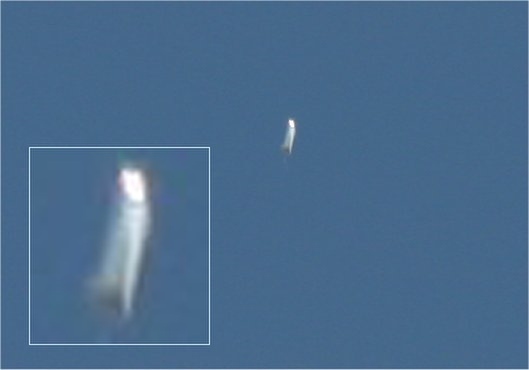 At around 10.00am this morning July 10th 2005 I was sitting outside with 4 colleagues when I saw a very bright flashing rotating object in the sky. This I pointed out to everyone, and everone saw it. 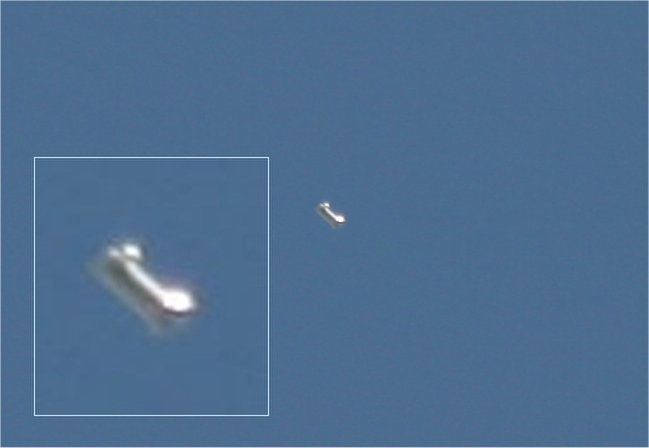 At this point I must say that I am one of the worlds greatest sceptics with regards to UFOs. I managed to photograph the object and have 6 very good photos of it. Please do not take this e-mail as a crank contact as I must admit that I would be very dubious but others saw it as well. To continue... 3-5 minutes after the object had passed over we all saw another object flying in at the opposite direction at great speed against the wind direction and seconds later suddenly took a shap turn to the left, second later to disappear from view. 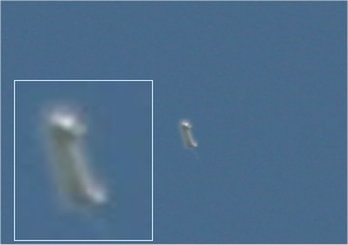 We are all professional people and quite frankly have better things to do with our time than to make wacky e-mails or photos but we all feel that what we saw was totally unexplainable taking into account the possibilities of the object being a weather balloon or plane reflecting the sunlight. I must say once again, please do not take this e-mail as a hoax. 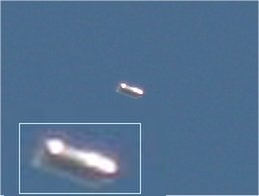 I have the photographs to back up our claim of seeing a UFO.